William Harvey Mosier, 89, Monticello, passed away at 12:45 pm Wednesday, October 31, 2018, at Monticello Healthcare. He was born July 5, 1929, in Kokomo. He was the son of William Albert Mosier & Hazel (Pine) Franklin. On August 9, 1955, at Bruce Lake, IN, he married Margie Ann Ellison who preceded him in death on February 19, 2010. William received an Associate’s degree in Criminal Justice. He retired at the age of 75 from the Howard County Sheriff’s Office where he served as a deputy sheriff, chief jailor, and process server after more than 23 years of service. He also served as president of the Howard County Sheriffs Merit Board for 8 years. 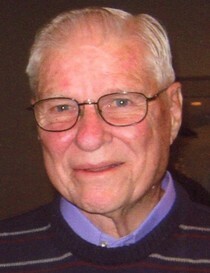 William was a staunch, active and avid Democrat serving as campaign manager for several candidates. He enjoyed traveling to different places to his favorite fishing holes. William is survived by his children, Anicholas “Nickie” (Michael) Kirkendall, Kim Mosier (Glenda Kelley), Thomas (Lisa) Mosier, Cheryl (Calvin) Pugh, Norman (Paula) Mosier, Jeff (Lisa) Mosier, Scott Mosier, and Loma (Dan) Harper; 20 grandchildren, and several great-grandchildren, and great-great-grandchildren; sister, Mary (Marvin) Prather; sister-in-law, Sharon Wininger; and companion, Jeannie McDonald. William was preceded in death by his parents; wife; sons, David Mosier, Greg Mosier, and Todd Mosier; and siblings, Rosella Davis, Nina Brennamer, Violet Raber, and Paul Mosier. Funeral services will be held at 5:00 pm Saturday, November 3, 2018, at Shirley & Stout Funeral Home & Crematory, 1315 West Lincoln Road, Kokomo, with Pastor Greg Reed officiating. Burial will be held Monday at 10 am in Albright Cemetery. Friends are invited to visit with the family from 3-5 pm Saturday at the funeral home. Messages of condolence may be left online at www.shirleyandstout.com.